We offer a range of earth-friendly washroom accessories, to complement our complete washroom services for Perth businesses. This range of washroom and kitchenette accessories are made available to order individually and include a variety of commercial washroom supplies, including consumable items for your waterless urinal, washroom and office or kitchenette. 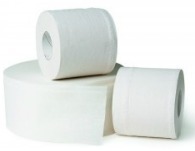 All of our commercial washroom accessories are available to be delivered around Perth and are dispatched within 24 hrs of order. 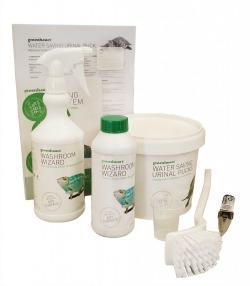 Many of our consumable washroom accessories are produced in-house by Envirocare Systems, as a part of our earth-friendly ‘greenheart’ range. All other commercial washroom supplies that we provide are produced with the environment in mind and are designed for minimal impact on our community’s carbon footprint. Already know what you want? – Click here to order now! Alternatively, please contact us today to speak with one of our friendly staff for more information on our eco-friendly washroom accessories and to find out how we can tailor a solution to meet your requirements. Check out our comprehensive range of Waterless Urinal Consumable products below. For full list and Pricing, download our Consumables Pricelist here. We provide a great range of Environmentally friendly Waterless Urinal, Washroom and Office and Kitchenette consumable items. If you would like a quick quote for your hygiene needs, please complete the form below. We will respond back to you within 1 business day.